The Association of Science -Technology Centers (ASTC) joins the international community of science centers and museums in remembering Jorge Wagensberg, who passed away on Saturday, March 3, at the age of 69. 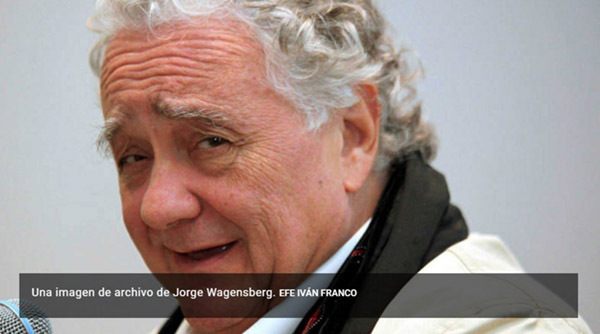 Jorge Wagensberg was not only a remarkable physicist, but a visionary in science communication who was able to see the importance and beauty of real objects and how to make them part of an interactive museum. In 1991, he joined the Museum of Science in Barcelona, Spain, and led its expansion and transformation into CosmoCaixa, which opened in 2004. Following his departure from CosmoCaixa in 2005, he continued as scientific director of the la Caixa Foundation until 2014 and remained on the physics faculty of the University of Barcelona until 2016. Most recently, at the time of his passing, he was artistic director of the Hermitage Museum project in Barcelona. Throughout his museum career, there are three hallmarks that stand out to me and which his memory will continue to inspire. Wagensberg wouldn’t shortchange the rich scientific content of any exhibition. He didn’t hesitate to bring a real tree from the Amazon rainforest to help explain that ecosystem or a 300-foot-wide (91-meter-wide), 30-foot-high (9.1-meter wide) slice of a mountain to teach geology. CosmoCaixa’s tribute to Einstein focused on the science in Einstein’s papers, creating new interactives for the general public to get a sense of what Einstein’s contribution really was—beyond the popular quotations and photos on which people so often focus. In the same way, he avoided different levels of explanatory text in exhibitions because he felt science is what it is, and anyone should be able to understand it, with proper interpretation. He was a master at highlighting the interrelationships in our world, among the scientific disciplines certainly, but also showing connections among science, history, the arts, human behavior, and more. A trip through CosmoCaixa’s galleries might reveal geometric shapes embedded within living organisms, a Foucault pendulum with the hominin footprints of Laetoli, or the vast story of evolution springboarding from a single mosquito trapped in amber. The unexpected juxtapositions helped inspire curiosity and encourage alternate perspectives. My friend also understood and promoted public understanding of science, providing opportunities for the general public to interact with scientists, who were always present at CosmoCaixa. He even installed sound tubes on CosmoCaixa’s roof garden so that visitors there could listen in on conversations taking place in the auditorium below. Whether in Barcelona—the city he loved—or other locations throughout Spain and the world, he was always looking for ways to open institutions up further to the audiences they served and further still to new audiences who didn’t yet know the wonders of science. Wagensberg’s long career and innovative work leaves a legacy in those who remain, and in our efforts to constantly strive harder in engaging the public with science. The long arc of his professional trajectory echoes his own vision for places of informal learning—and lives—that are a combination of art, philosophy, and science. 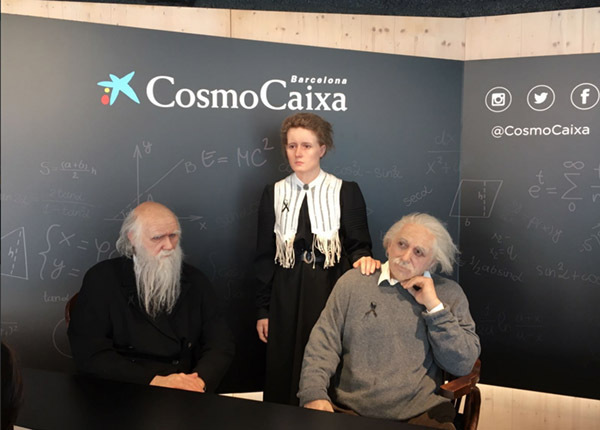 The Charles Darwin, Marie Curie, and Albert Einstein figures that greet visitors to CosmoCaixa in Barcelona wear mourning ribbons today in tribute to Jorge Wagensberg. Walter Staveloz is ASTC’s director of international relations.